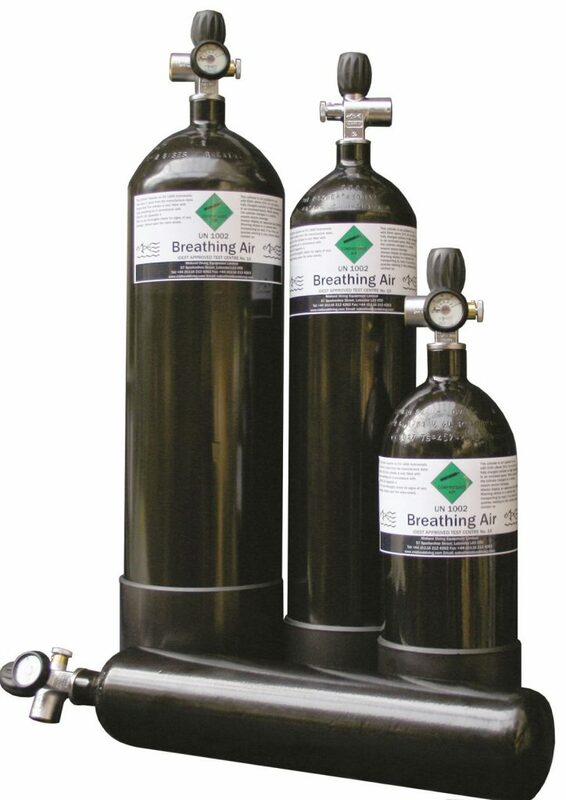 Wighill Park Guns | Products | 12 Litre Air Cylinders 300 Bar Filling Kit. Pre-charged guns can be filled from with either a pump or a diving bottle. Below are the features and shot capacities for our selection of 300 bar diving cylinders. 12 litre 300 bar air cylinders. The micro bore hoses connect to most airguns. A 12 litre air cylinder will give on average 5000 shots. Cylinders sold in the shop are full at no extra charge. At our shop we refill bottles whilst you wait during our opening hours.